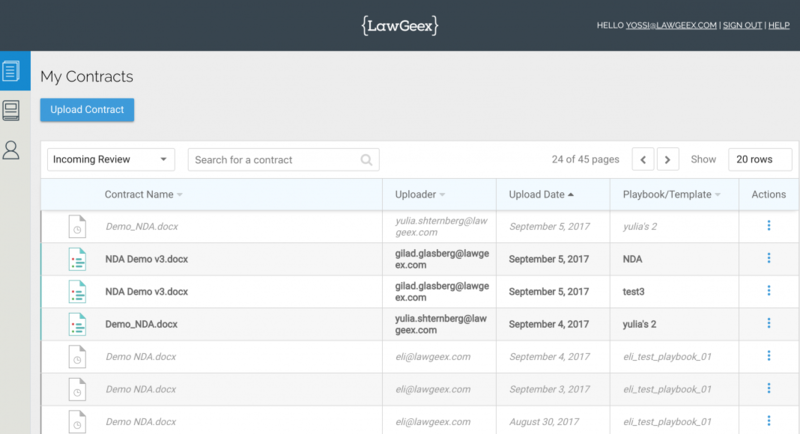 LawGeex uses AI to automate the review and approval process of everyday business contracts. 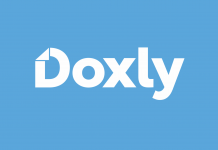 Its AI reviews uploaded contracts, approving them if they match a pre-defined legal playbook or escalating them to the legal team if issues are found. LawGeex answers the question “Can I sign this?” within one hour, reducing legal bottlenecks and shortening contract turnaround time. 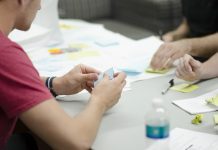 LawGeex enables large enterprises to create an explicit and operationally rigorous program for compliance with corporate policy, as everything signed is checked against a company’s playbook. 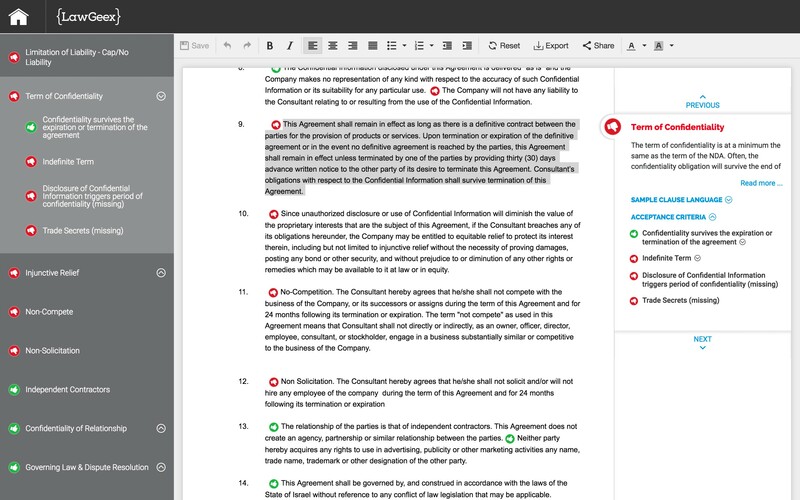 LawGeex gives businesses granular control in clause concepts they want to see — and do not want to see — in contracts before signing them. 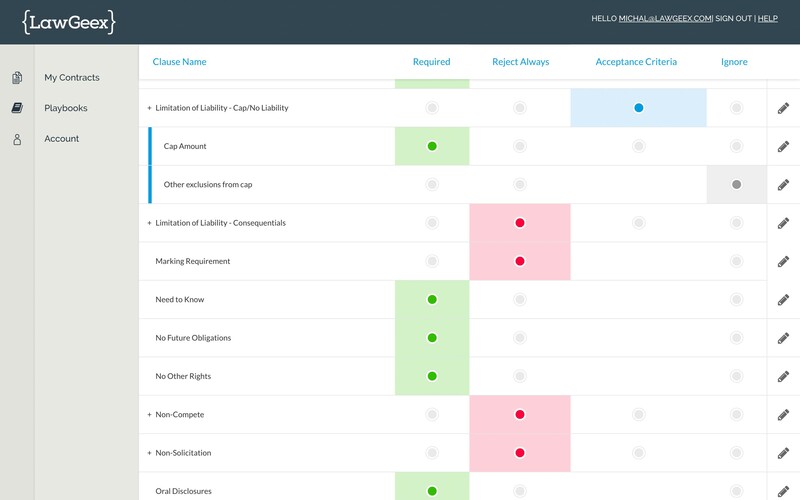 Based on these pre-set policies, the LawGeex’s AI can accept, red flag or reject clauses in incoming contracts. This helps large enterprises create an explicit and rigorous program for compliance with corporate policy. 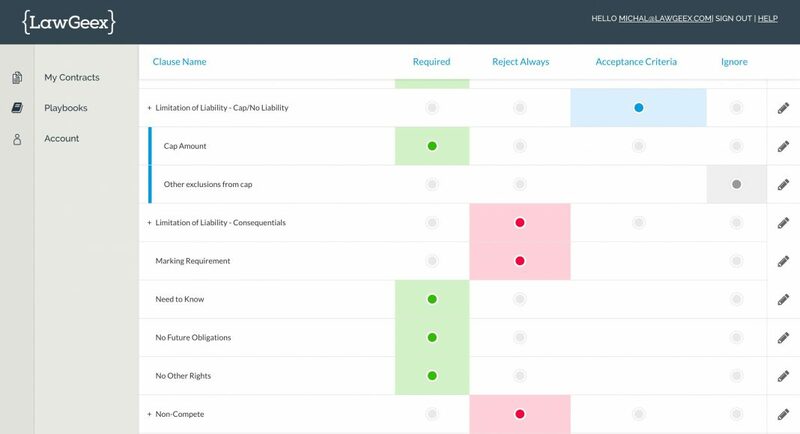 When reviewing a contract, customers can see which of their policies were applied, and can red-line the contract within the platform, instantly inserting their company’s standard clause language with one click (LawGeex also provides default language). 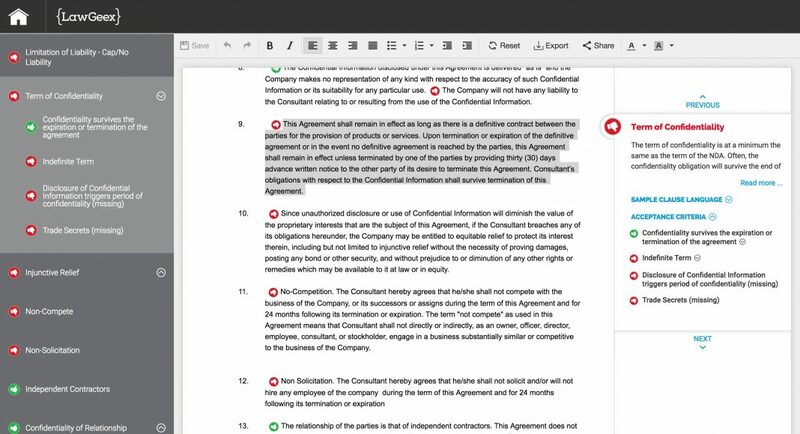 Users also have full visibility on their company’s clause definitions, fallback positions, tips, and more. 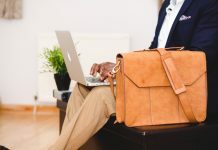 LawGeex employs the latest in Artificial Intelligence, machine learning, text analysis and natural language processing to review and understand legal documents. LawGeex created proprietary Legal Language Processing (LLP) and Legal Language Understanding (LLU) models. LawGeex achieves higher accuracy than human lawyers for contract review and has also been selected by Gartner as a Cool Vendor. We sell yearly subscription to the LawGeex platform, a SaaS AI Contract review and approval for everyday contracts for in-house lawyers. Pricing depends on volume of contracts. We offer a limited free personalised demo on the customer’s contracts, and full paid proof of concepts. We have a number of integrations including Salesforce and SAP Ariba. We put protecting our systems and customer data at the absolute forefront. Our platform and infrastructure are ISO/IEC 27001 certified. All data is fully encrypted, both in transit and at rest, ensuring enterprise-grade levels of privacy and security for all our customers. We fully support SSO, and are GDPR compliant.